Word files have Doc or DocX extension, and are used by Microsoft Word processing software. Usually, it contains text, images, formatting, styles, drawn objects, and other document elements. Unicode text format is used for unformatted text files; Unicode can be implemented by different character encodings. The most commonly used encodings are UTF-8, UTF-16 and the now-obsolete UCS-2. Just like TXT, Unicode text files can be viewed in Microsoft Notepad, Microsoft WordPad, Microsoft Word (all versions), Corel WordPerfect Office X6, Helios TextPad, Notepad++ and other text editors. If you want to view Word files with all of these applications, consider converting Word to Unicode text. CoolUtils is happy to introduce its unique Word to Unicode text converter, Total Doc Converter X. 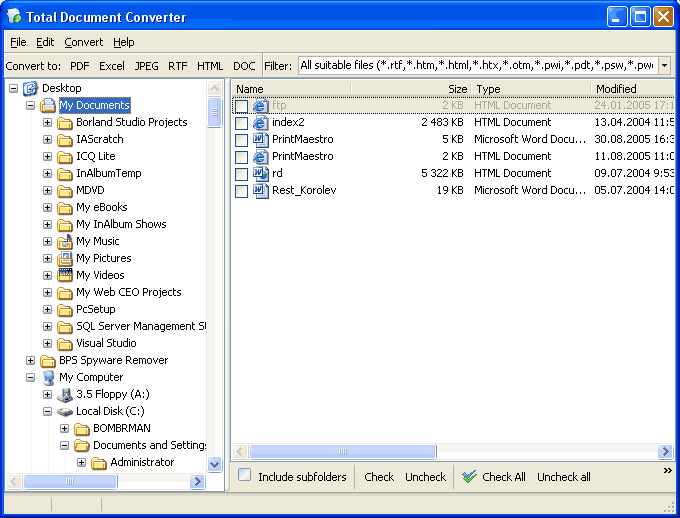 Unlike Total Doc Converter, another version of Word converter by CoolUtils, this program is a Word Unicode Text C# converter that has ActiveX and Command Line enabled (no GUI). You can convert several files at a time, to learn how to use batch conversion mode, please, refer to the full list of commands supported by Total Doc Converter X available on CoolUtils website. Also, you can use Total Doc Converter X to convert files from Word to Unicode text, PDF, XLS, HTML, JPEG, TIFF, RTF, and TXT. 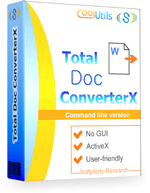 To check out Total Doc Converter X now, download a free trial version of the converter! It comes at no fee, no obligation, and guaranteed to have no spyware, malware or viruses. The trial version is active for 30 days! Contact CoolUtils customer service to learn more about Total Doc Converter X or download it now!